Chances are, you’ve had a moment like this: A gorgeous meal or beverage is placed in front of you. It’s so beautiful and drool-worthy that you cannot resist the urge to snap a photo and share it across your social media sites. This is precisely the sentiment and inspiration behind Sonic’s new Square Shakes. Designed for the Instagram generation, the company plans to adapt its new Creamery shakes for the platform. From the shape to the multiple angles, even the square-shaped straws, the shakes have been transformed into square works of art in partnership with chef Christine Flynn. Sonic plans to launch its Square Shakes at Coachella later this month—with a twist. Shakes will be available for purchase exclusively with Instagram at the festival. In order to purchase one, Coachella attendees will have to look for the Square Shakes ads from Sonic on Instagram with a “Shop Now” button. Once the attendee clicks on “Shop Now,” the geo-fence technology will allow Sonic to find attendees and deliver shakes to them. The currency? A Instagram post of the coveted shake, of course. While it’s unclear if Sonic’s Square Shakes will expand beyond Coachella, the concept is pretty clever. 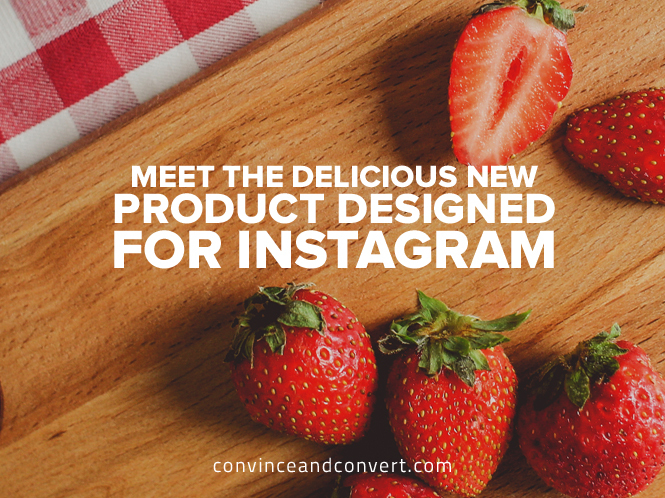 From the overall concept of designing a product for Instagram to the event exclusivity and delicious flavors, there are many compelling layers. Add in the innovations around purchase and real-time delivery via Instagram, and it will be interesting to see how Sonic takes the lessons from this project and applies them to future products and in-store offerings.